I've missed doing a Feature Friday of posts and have decided that compiling one each week should be one of my New Year's goals. 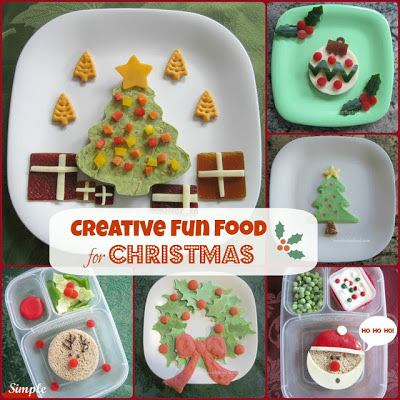 Of course, it's not quite New Year's yet, but I've seen so many cute Christmas ideas that I figured I'd start a few days early! 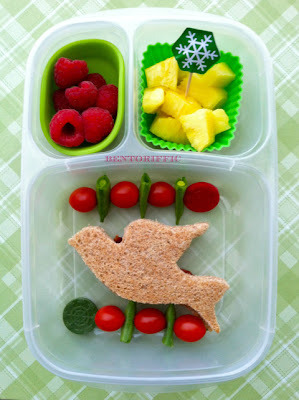 This beautiful peace dove lunch is from my friend Sarah at Bentoriffic. She has amazing vegan lunches, including for her two young daughters. I love this snowman from Cristi at BentOnBetter Lunches! and now I really want a Yubo box! 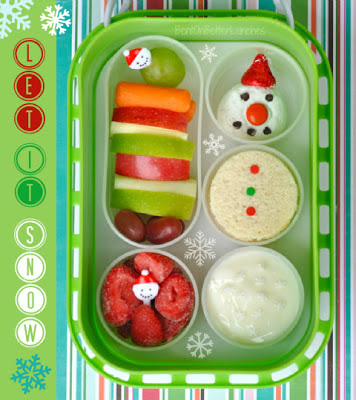 has a darling Santa face lunch, made with cookie presses! By the way, bookmark the linky for lots of awesome Elf ideas. in bentos, on plates and sweets! 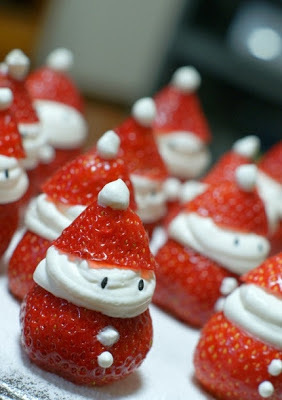 I found these cute little strawberry Santas on Photo Overload. There are tons of versions if you Google "strawberry santas" so just pick a version!